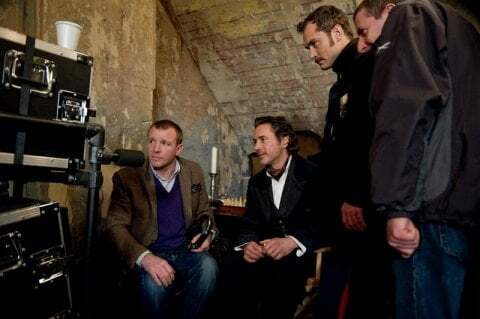 In Sherlock Holmes: A Game of Shadows we finally get to see our titular detective face off against his greatest enemy, the dire Professor Moriarty, played by Jared Harris. Presumably the two will get into a lot of adventures that involve big action sequences and probably explosions, but these two have an intellectual rivalry going on as well, one that you might worry director Guy Ritchie would ignore entirely. Worry no longer! 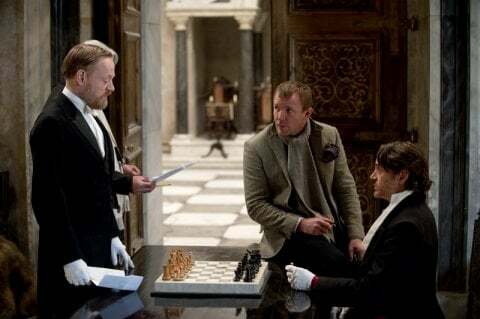 Empire Online has debuted three new images from the film, one of them showing Holmss and Moriarty sitting down for what looks like a very intense game of chess, so intense they have to wear white gloves to play it. It's a behind-the-scenes shot that shows Harris reading his script, so it's hard to get a sense of what exactly happens in the scene, but it seems safe to assume this confrontation won't end all that happily. 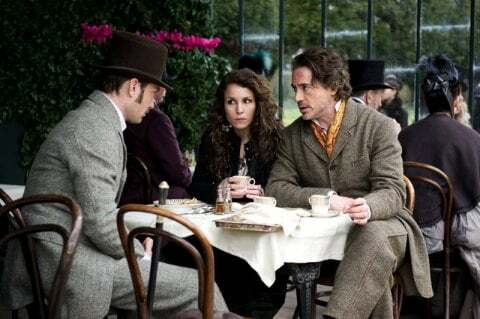 The other two new images included both Jude Law as Dr. Watson and Noomi Rapace as the mystery gypsy woman Sim who joins them on their latest caper; you can check out all three below, and click on them for the larger versions at Empire. Set to hit theaters on December 16, A Game of Shadows will be just one part of what's already shaking out as a hugely crowded fall movie season. Opening against Alvin and the Chipmunks: Chipwrecked, with The Adventures of Tintin and Mission: Impossible-- Ghost Protocol, it still won't be up against as formidable a foe as the original was, when it opened just a week after Avatar took over the world. Come on, Holmes-- show those chipmunks who's in charge.